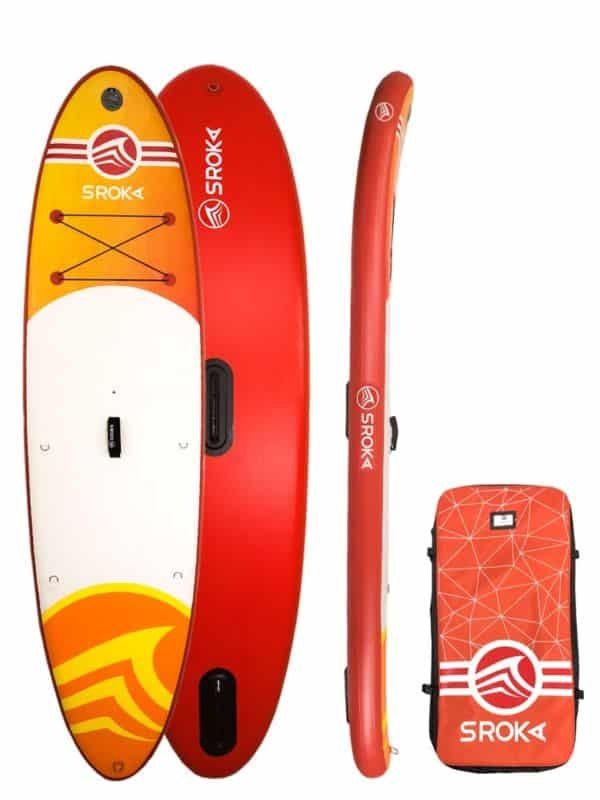 If the Sup XL is at 200% pleasure, then the XXL is at 300% pleasure. 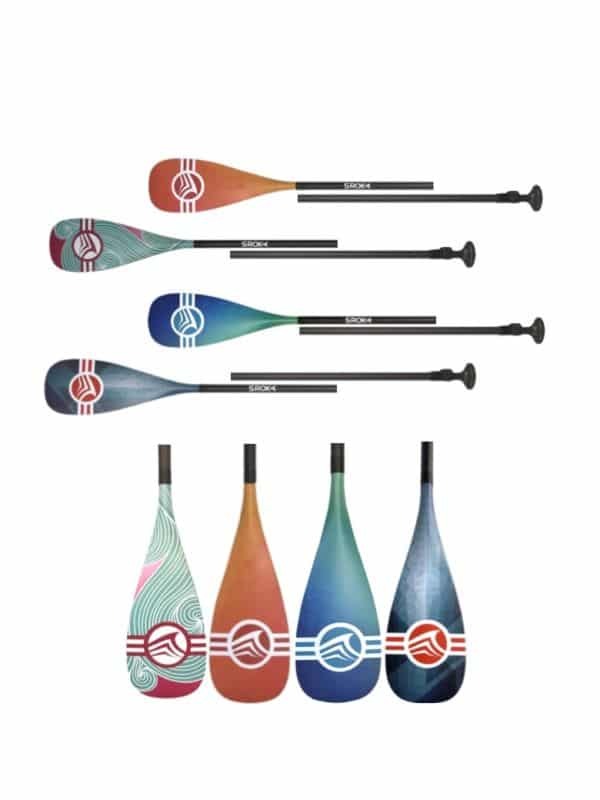 Our XL series has been developed to share your passion for paddling with others. 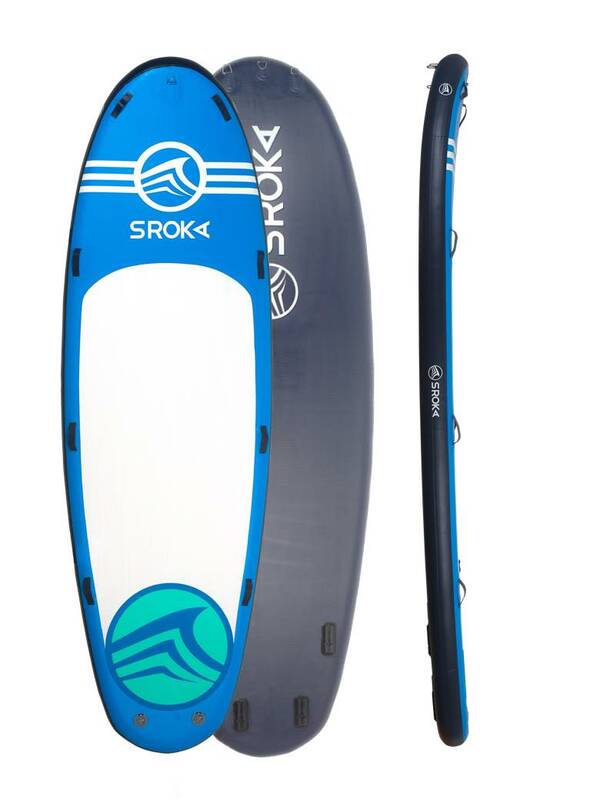 From 2 to 8 people, this XXL inflatable paddle is perfect to discover the joys of riding a SUP with friends. 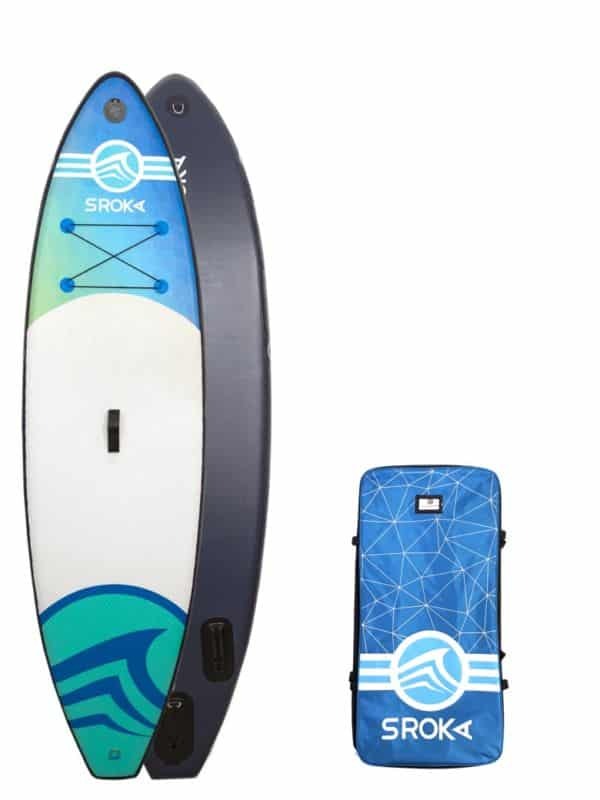 In addition, this board is suitable for discovering small waves. It is therefore an ideal product for large families or large groups of friends. 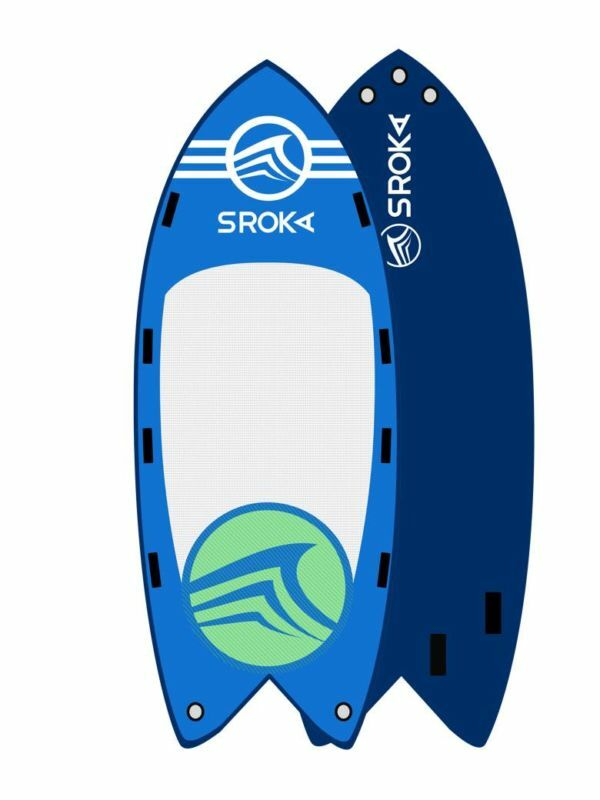 The SROKA team focuses on durable products, which is why we have reinforced (more layers on the rails) the XL range, for maximum durability over time. The advantage of this reinforcement is that it also allows the inflatable stand up paddle to withstand high temperatures. To have a good time, choose the XXL range! Don’t hesitate anymore, don’t hesitate anymore! We have kept this compromise that we have achieved between stability and sliding. The tight outline give a very good travel speed. For us, no need for unnecessary accessories to stien the board. We have used the best Dropstich and PVC on the market. With its 195 cm (77′′) width, the XL 16×77 provides the best compromise between stability and glide. 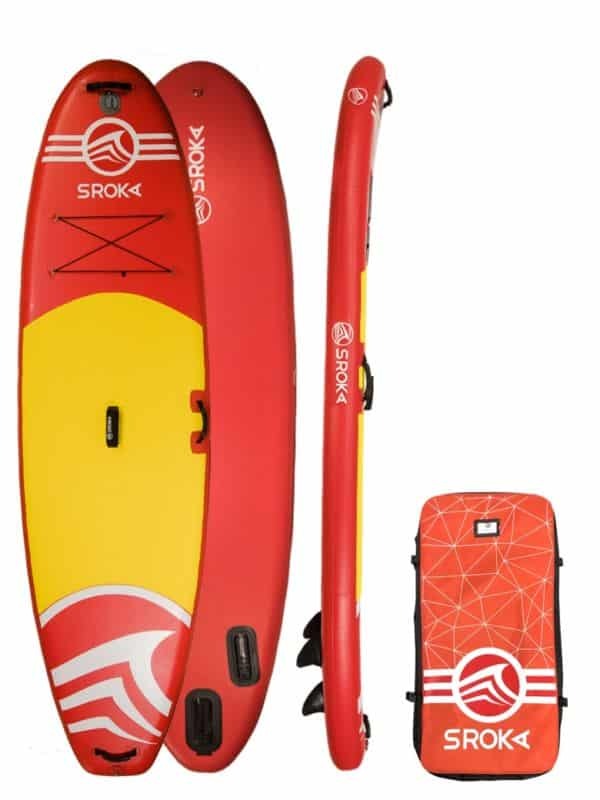 Its weight of 40 kg is the right compromise to have fun and to obtain an unbeatable glide. In addition, we provide a bag for safe and easy transport of the product. Come and discover this new range in store or discover the XL range from SROKA Company. ROCKER : constant curve that easily allows to acquire a maximum stability. 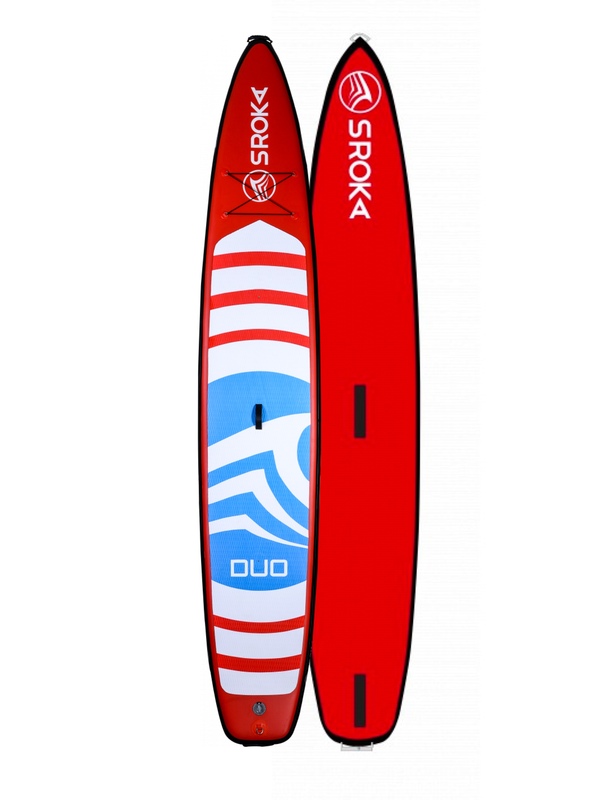 VOLUME : homogeneous volume, the 8′ thickness allows to be more stable on the water. OUTLINE : 77″ of width in the middle of the board to maximise stability. NOSE : 20 vcm of rocker at the front of the board facilitate the passage of the chop. FIN : 4 removable fins. 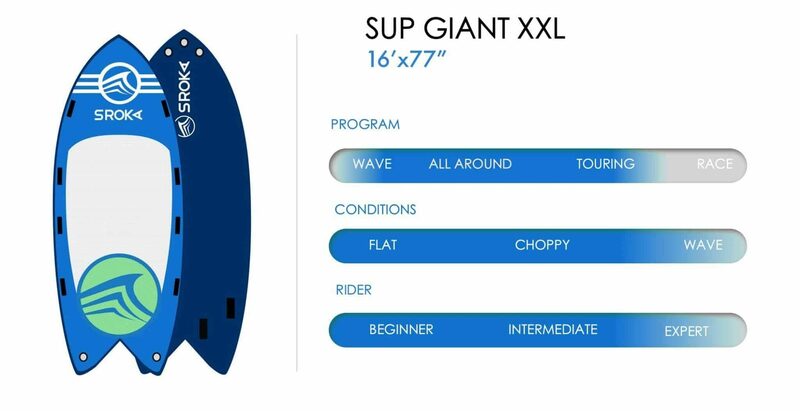 Stand up paddle Giant XL to play with your friend between 2 to 6 people.